The group Seventeen released their new album ‘YOU MADE MY DAWN’ yesterday, on 21st. The trending idol Seventeen has released entire tracks of 6th mini album ‘YOU MADE MY DAWN’ as well as the soundtrack and M/V of the title song ‘HOME’ through various music source sites on 21st. The title track ‘Home’ is a URBAN FUTURE R&B genre with a broader musical abilities and delicate lines of emotions by Seventeen, and it will attract the listener’s’ deep sympathy with the lyrics expressing warm heart. 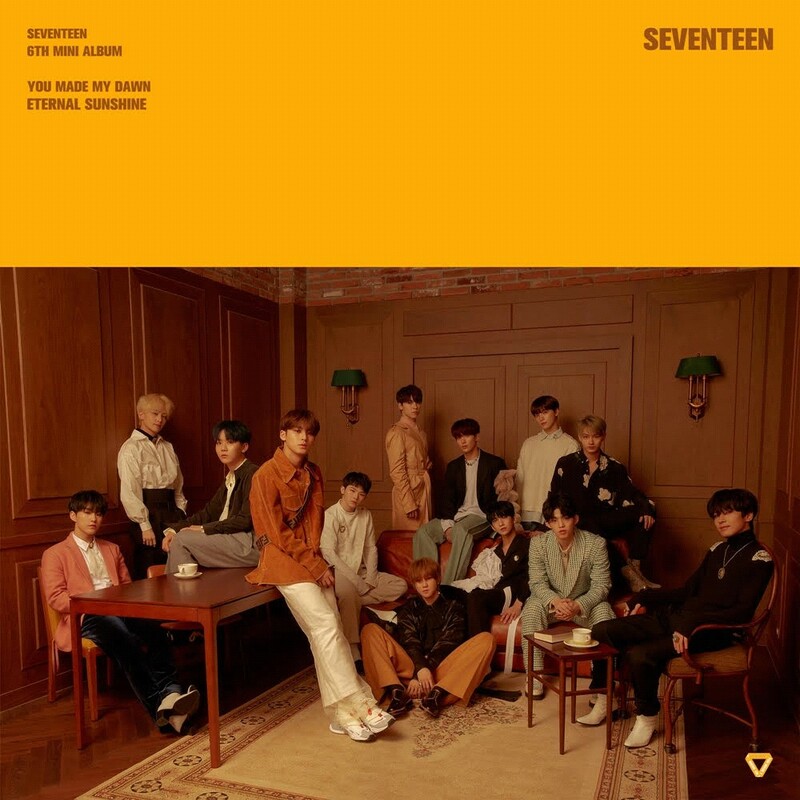 Not only that, the Seventeen’s 6th mini album, which will grow infinitely by showing new appearance together with the beginning of year 2019, contains total of 6 tracks that will attract music fans’ ears, such as the title track ‘Home’ together with ‘Good to Me’, ‘Getting Closer’, as well as ‘Hug’, ‘Chili’, and ‘Shhh’, the unit songs of vocal, hip-hop, and performance teams. Meanwhile, seventeen released the 6th mini album ‘YOU MADE MY DAWN’ through various online music sites and is holding media & fan showcase at Olympic Hall of Olympic Park in Songpa-gu, Seoul.